After yesterdays post I thought I should take a little bit of time to show you my organization system for what I call project folders. I have two systems one uses Cropper Hopper products and the other uses Croppin Companion. 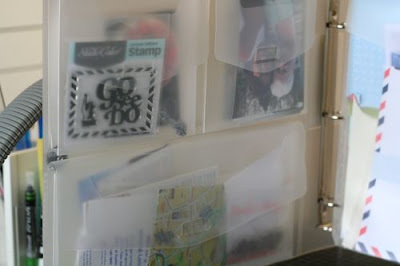 This system not only works for when you go to events but it also works for when you stay home and scrapbook. 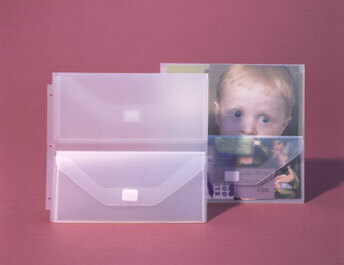 The Cropper Hopper system is great for page planning and smaller projects. As I purchase product there is always a moment where I go: 'Oh this would be great with those pictures from [insert event here]' OR when you specifically buy product for a project and you don't want to put them away because you might (or will) forget. So when I get home I pull out one of these Cropper Hopper page planners, insert the photos in the small front pocket and also include any embellishments that I plan to use. 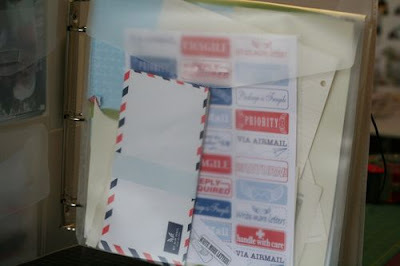 Then this planner goes into a vertical paper holder, which sits in my shelves. 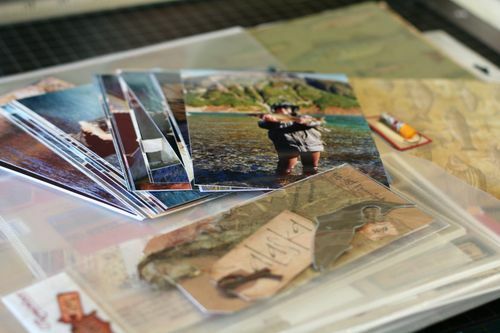 As I find stuff, either purchased or in my room, that I would like to use with those photos I just slip it into the planner. If I have a page idea from a magazine or I sketched out an idea, I would also include this in there. I see some old product in there and I just get excited about that - love using up my stash! This is very portable - all this layout would need is a basic tool kit. 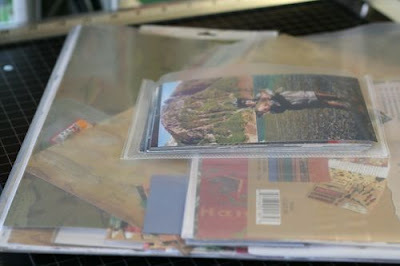 Now for larger projects like a trip album I use the Croppin Companion products. 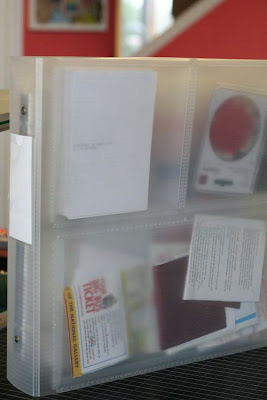 Nesting planning folders and the storage binder. The one I am showing below is no longer available but it is the same concept. London was a pretty big trip for me so I have a lot of pictures and memorabilia. 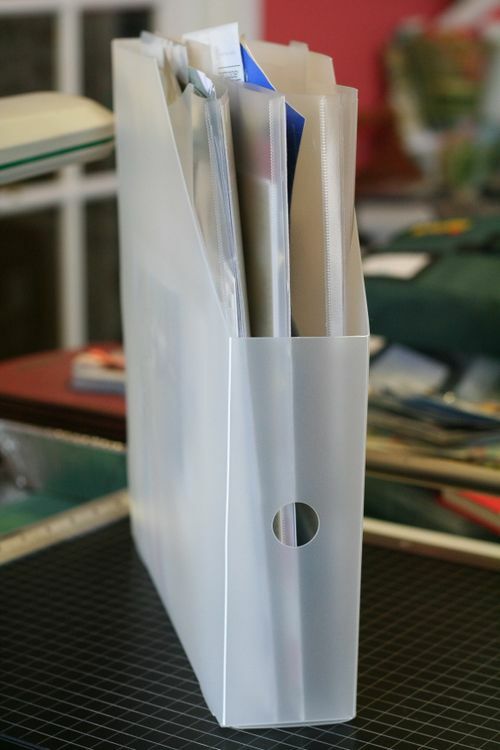 These planning folders allow you to store all of this in one handy binder! Along with the paper and embellishments that you would like to use. As you can see this is a project in progress - what is nice about this system is when I don't finish it and I need to put it away it all goes back into the binder for next time. You can see some memorabilia, embellishments and photos. If I was taking this to a crop I can see that I will need an acrylic block for the stamp I want to use throughout the album and either black or brown ink. Then this folder closes up and secures on the side. This stores nicely in my shelves and is ready to go at any minute. You can use the nesting planning folders without the binder and use them exactly how I use the Cropper Hopper ones. They allow you to put more in them with their gusseted pockets. Stacy uses them and she calls these her 'materials folder'. 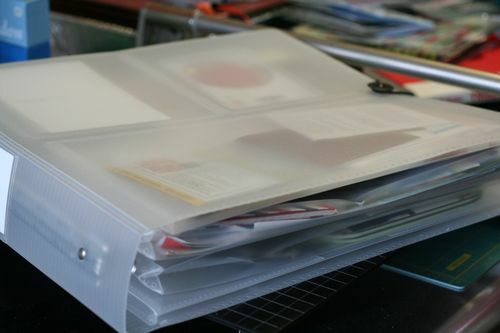 So you can have one binder full of projects or pages that will be ready to go to your next event! 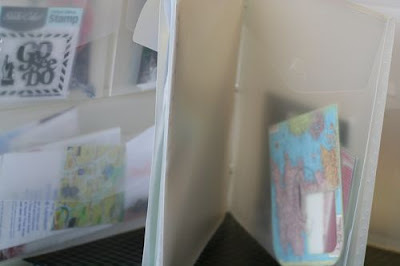 Three winners will be chosen for a two pack of planning folders from Croppin Companion! 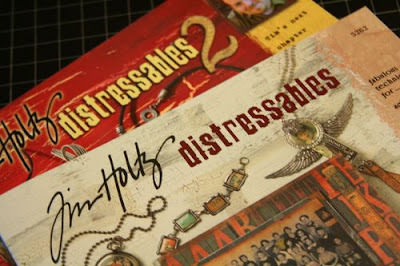 One winner will be chosen for the two Distressable books by Tim Holtz. The winners will be announced tomorrow before 10 am PST - be sure to leave a comment to be entered in the random drawing. Have a wonderful Wednesday!